What is the Difference between a General Partnership and Limited Partnership? Partnerships exist when two or more people agree to engage in business for profit. Partnerships can be formed to engage in a number of different ventures, and generally have low start-up costs and do not require many formalities. 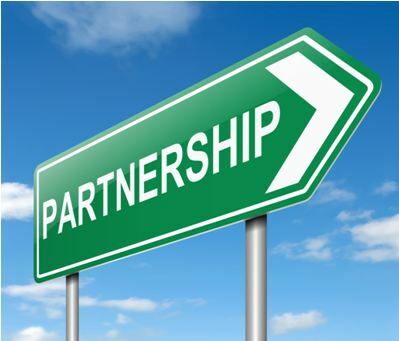 There a several types of partnerships, each with their own benefits and drawbacks. Two of the most popular are detailed below. In a general partnership, each partner equally owns the business and has full authority to act as an agent of the business, meaning that he or she may make business decisions on behalf of the partnership. There are no formal filing requirements to form a general partnership in the state of California. On the contrary, general partnerships can be formed through an oral or written agreement or simply by the conduct of the parties, if a court determines that an implied partnerships. Importantly, each partner is personally liable for all business debts associated with the partnership. In addition, the partners are all “jointly and severally” liable for business debts, meaning that a creditor could pursue any partner for the full amount of a business debt. While this type of liability seems risky, it is not without benefit – the business itself is not required to pay taxes. All business profits “pass through” to the partners who are report profits on their individual tax returns and are able to avoid double taxation. In a general partnership, trust is extremely important, as a partner could be held liable for the business debts or any other legal liability incurred by another partner on behalf of the business. 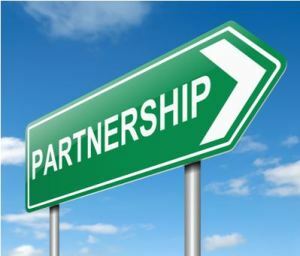 Limited partnerships, on the other hand, involve at least one general partner and one limited partner, who, not surprisingly, plays a limited role in the operation of the partnership business. In order to form a limited partnership in California, the business is required to file LP-1 with the Secretary of State. General partners in a limited partnership are responsible for the day-to-day management of the business and a personally liable for all business debts as partners in a general partnership would be. Limited partners, however, are not able to participate in the management of the business, and their liability is limited to their investment in the business or as otherwise provided in their partnership agreement. If a limited partner steps out of his or her role as a silent investor, however, he or she may lose the protections afforded to limited partners and be treated as a general partners. Limited partnerships are often attractive to businesses that wish to raise capital without dealing with the formalities required of a corporation, as it allows them to attract investors without exposing them to unlimited personal liability. In addition, limited partnerships are treated as pass-through tax entities, avoiding double taxation similarly to general partnerships.